Last season, we saw a great crop of rookies. 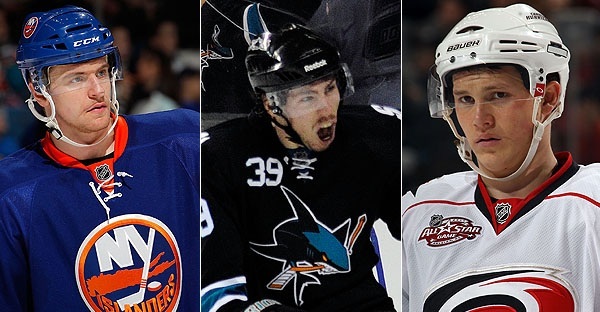 This year should be no different as plenty of guys are primed to make an impact on the NHL. In 23 games last season, Blum impressed the Predators enough to trade Cody Franson to Toronto, giving Blum a full time position. The 22 year old is a good decision maker who should fit right into Barry Trotz’ system. With Florida’s roster in flux, look for Gudbranson to get a shot to play some minutes with the big club. The team is hoping his offensive game continues to develop (12 goals in the OHL last season), but is still a defensive force. Like with Gudbranson, Huberdeau should get a chance with the Panthers. Florida’s brass loves his unselfish play and his hustle. The Panthers don’t want to rush him, but if he’s ready, no point in holding him down. 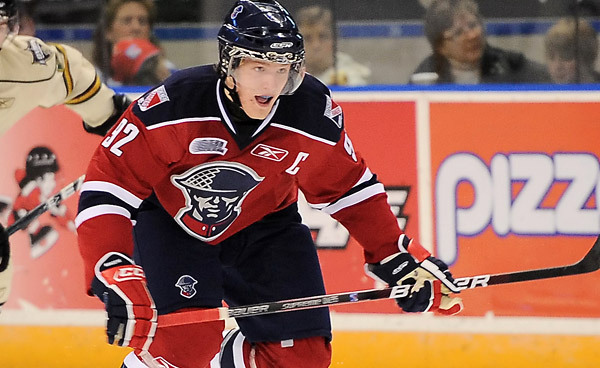 After torching the WHL for 40 goals, 92 points last season, Johansen appears ready to join the big club in Columbus. With the recent additions by Columbus, it might keep Johansen down on the team’s depth chart. Despite that, he should still produce and work his way up. Landeskog was the most NHL ready of any player in the 2011 draft. He’ll be penciled in on the Avs’ top 6 and should be in the Calder conversation all season. Last season, 18 year old Jeff Skinner joined some elite company. He became the fourth 18 year old to win the Calder trophy as NHL’s Rookie of the Year, scoring 32 goals and 63 points. He became the youngest winner since Tom Barrasso in 1983-84. Many 18 year olds have played in the NHL, but only eleven have scored 60 points in one season. Of those eleven, nine played in the 1980s, when scoring was up. The only one who’s done it outside of that decade besides Skinner, is Sidney Crosby. Ironically, Skinner replaced Crosby in the All Star Game this past season. Of the ten players ahead of Skinner on that list, all ten had productive seasons their second year. Even the “bust” Jimmy Carson had two great years before tailing off. Now Jeff Skinner is not going to produce Crosby numbers (120 points, Art Ross winner in his second year). Crosby posted over 100 points his rookie year to Skinner’s 63. 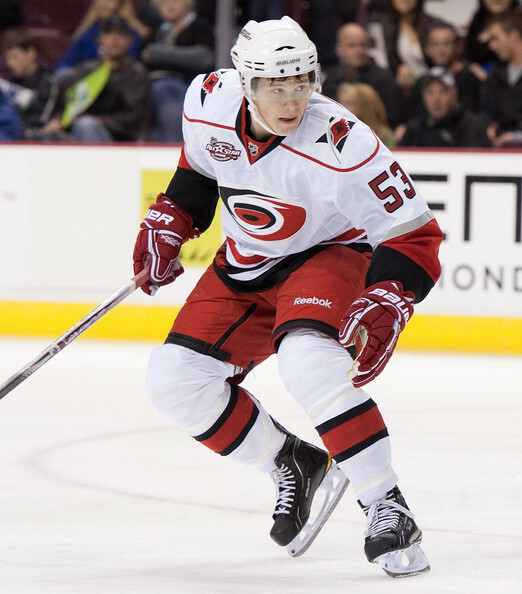 Skinner played with Eric Staal most of last year on the Hurricanes’ top line. But Skinner played 16:43 per game, which was only seventh most on his team. That will surely increase this season, especially with the departure of Erik Cole. He’ll most likely be called on for more power play minutes (played 3:10 per game last year). More time will equal more scoring chances, which should increase his point total. Logan Couture deserves the Calder trophy, the kid is just flat out amazing. Former team captain Patrick Marleau said himself that Logan is talented offensively, and defensively, which would explain his numbers. He leads the team in +/-, he is second in goals on the team only behind Marleau, and also 2nd in game winning goals for the team. This is a team with Dany Heatley and Joe Thornton who by all means Couture should be setting up for goals (not that he is bad at that with 23 assists on the year), but he is proving he has what it takes to put the puck in the net, and help to keep it out of his own. As the season opened, the defending Cup Champions were looking to fill the hole of the departed Antti Niemi with Marty Turco. 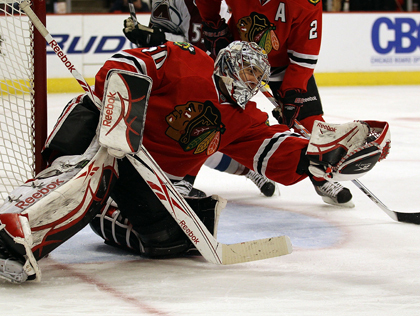 However, Turco’s starting job was taken over by rookie Corey Crawford. Crawford has filled Niemi’s void nicely. In 54 games, Crawford’s won 31 games (good for 13th in the NHL), posted a 2.26 GAA (6th) and 91.9% save percentage (13th). He’s also posted four shutouts this season. While the team has struggled, Crawford has kept the Blackhawks in the playoff race. When looking at this years crop of Calder nominees, it’s amazing to see how talented the future of the NHL is looking. So out of big names like Couture, Skinner and Fowler why go with the seemingly obscure Michael Grabner? On a team of young studs he leads the team in goals (33) and was fourth in points (50) in 74 games. This all after a summer where he was traded from his draft team from Vancouver to Florida, where he was subsequently waived from. The twenty three year old’s placement in the NHL was questionable at best, until he (and his silky mitts) found a niche on Long Island. He’s now a pivotal piece of the puzzle for the young Islanders core. Strange coming from the mouth of a Rangers fan, but this Austria native should be the next Calder trophy winner! As if you need any more reasons why Jeff Skinner should be the Rookie of the Year besides his surname conjuring up images of an early 90s wrestling superstar (that’s Vince’s word not mine), I suppose I should continue to tip your scales. Skinner, by far, the youngest of the most viable ROY candidates being 18 until late in the conference finals and not only that, is also the most consistent having 30 goals and 29 assists as of this writing. I also venture that Skinner has done the most with the least. Outside of having Eric Staal as a teammate, Skinner is surrounded by a handful of solid but not quite venerable teammates. 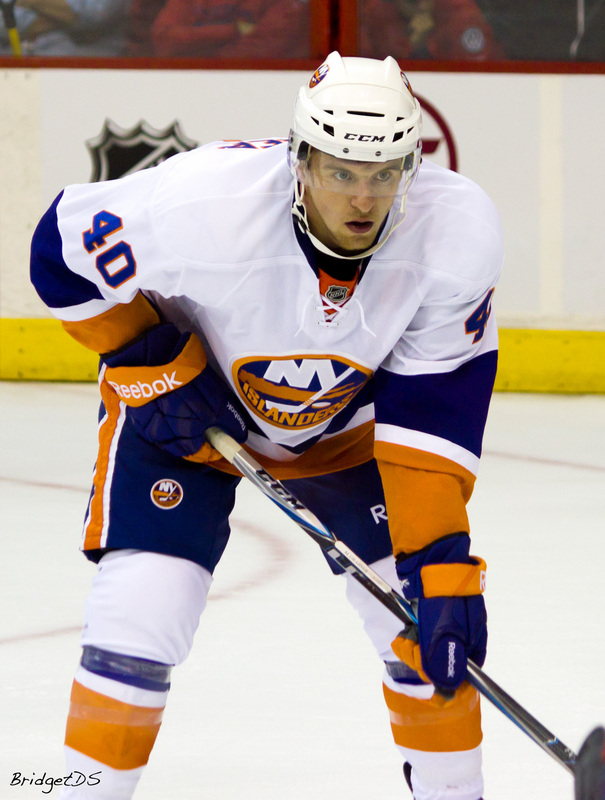 Which I feel is less to work with than the budding forwards in Long Island like Tavares, Okposo, Moulson, and the like. Vote young, vote Skinner. And perhaps Jeff will celebrate with a skulleted homage to Crocodile Dundee…ok maybe not.